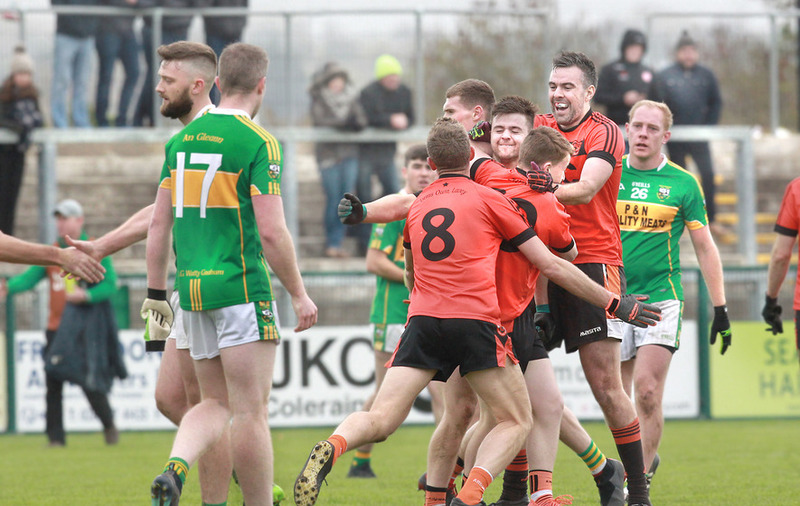 AS MUCH as it has been 20 years since their last appearance in a county final, and another five since their last success, yesterday was about banishing the demons of eight years ago for Lavey. 2010 was their last semi-final, when they led Ballinderry by five points in stoppage time only to get caught by two sucker-punch goals in a famous game in Greenlough. It ought to have been a Lavey-Coleraine final that year, but those two will now have their dance in the sun together in two weeks’ time. 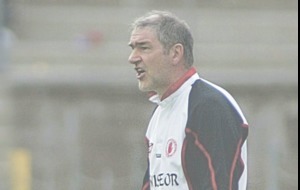 John Brennan was on the line with his nephew Henry that evening, and this time it was his brother Seamus alongside the veteran Derry boss as the Erin’s Own men upset the odds with a comprehensive win over Glen. 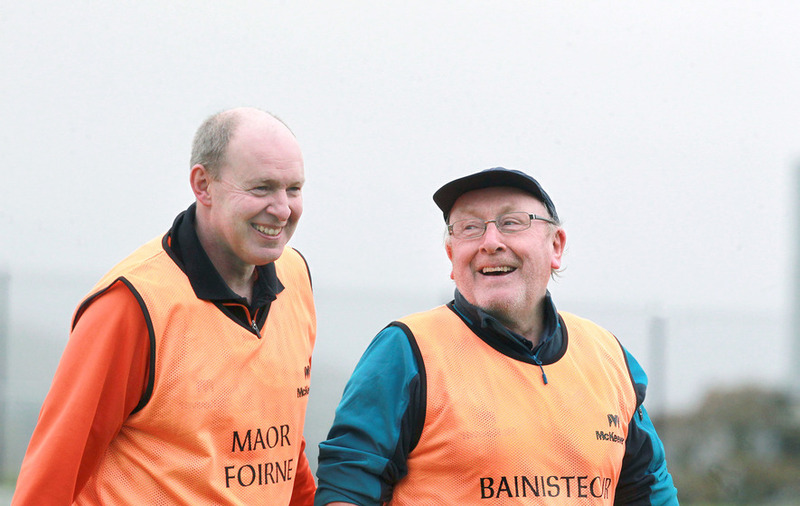 “The only time  was mentioned was coming into the semi-final,” said the insatiable Brennan, who has never lost a county final as manager, afterwards. “Inexperience that night cost us. These things linger on. Irrespective of not having been in a semi-final since, it’s hurt us this last number of years. “We’ve been in a transition period since, a few senior players retired and young players weren’t ready for senior football. I went to other places, and maybe I should have stayed about but you can’t stay all the time, people get fed up looking at you. Working out they certainly are. Eight of the side from that night eight years ago were involved in some description yesterday, and that bit of experience was invaluable as they controlled the game against a fidgety and uncharacteristically Glen. The Watties were seeking to reach what would have been a first ever senior county final, but with only veteran defender Philip O’Connell over the age of 25, they failed to function all over the park, particularly in attack. Glen manager Enda Gormley did point to that inexperience but wasn’t looking for any crutches to prop up his bitter disappointment. “The best team won. We’ve absolutely no complaints, they were hungrier. Very disappointing from our aspect how they were hungrier – they won all the breaking balls, they were sharper in the tackle. When you lose the personal battles you’re on the back foot, and we were on the back foot for most of the game. 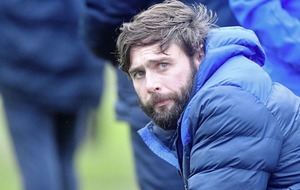 “Their tackling was far crisper all over the pitch, they stopped us from deep and didn’t let us anything built at all. We just couldn’t get going. “Not making excuses, we’re still a ridiculously young team. Hopefully they’ll take something out of today. Our second oldest player is 25, and you can’t buy experience. Lavey had the benefit of a huge wind in their favour in the first half, and Niall Toner’s blistering start up front helped create a very useful bit of daylight. 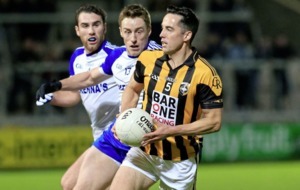 He was left one-on-one with Oisin Hegarty inside and Toner had three points from play inside the first five minutes before a brilliant 52-metre free from Ciaron O’Boyle helped push them 0-4 to 0-1 clear. Thereafter, the winners lost their attacking shape a bit. Toner started to roam deeper and at times they had no target inside, which resulted in a series of wayward pot-shots from out the pitch. But crucially, their defence never faltered from the first minute until the last. Eamon McGill was the outstanding player on the pitch, doing a magnificent man-marking job on Ciaran McFaul, while Caolan McGurk was similarly effective against the hard-running Emmett Bradley. Aidan Toner kept Danny Tallon scoreless from play and Shane Lagan did likewise to Conor Convery. It was a complete shutdown on an individual basis in the first period, and in loading bodies back and using their pace on the counter in the second half, Lavey got it tactically spot on. Up front, along with Toner it was Anthony McGurk who pulled a lot of the strings, his fine kick-passing from centre-forward and one monster score marking him out. Lavey led by 0-7 to 0-3 at the break, which would have been slightly worrying for them given the strength of the wind they had to face in the second half. 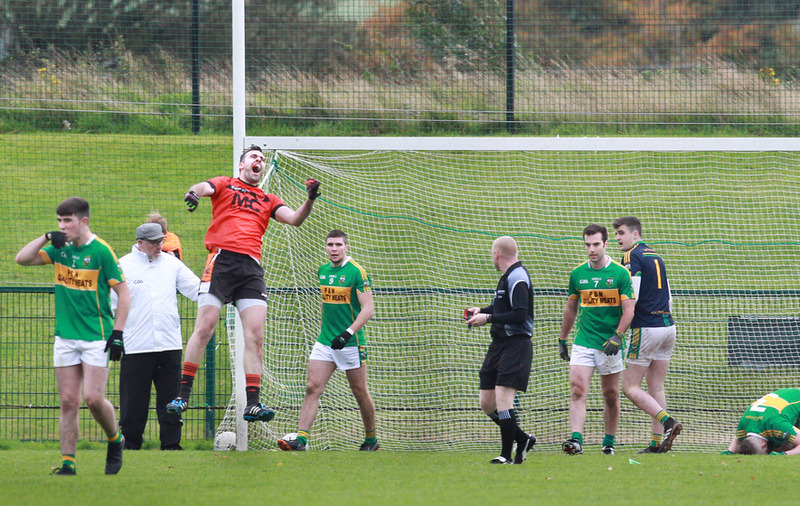 Ciaran McFaul pointed 14 seconds after the restart to seemingly put a marker down for Glen, but they kicked two poor wides before Eamon McGill got a great half-block on another McFaul effort to limit the Maghera men to one point from four attacks. And from the moment Ciaron O’Boyle drilled through the wind to point from 43 metres, Lavey resumed command. It was another effort by him from the 45’ that fell short which led to their first goal. Cailean O’Boyle, only off the bench, kept it from tailing wide and it was worked to Declan Hughes, who steamed in and buried a magnificent finish across Callum Mullan-Young and into the top corner. The gap never shortened, and when Eamon McGill followed up on Cailean O’Boyle’s cut-back to fire low to the net on 54 minutes, Lavey could relax and celebrate. 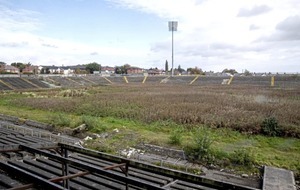 Glen, down to 14 men with the loss of Connor Carville to a second booking, turfed Emmett Bradley to full-forward and one long ball from Stevie O’Hara was fetched by the Derry forward and fired home, despite Ciaron O’Boyle’s best efforts to claw it away. There was already more than enough done for Lavey. While Glen’s underage production line has been garnering the attention, their neighbours have toiled away in the shadows. In the past week they’ve won the U16 championship and qualified for the minor final. 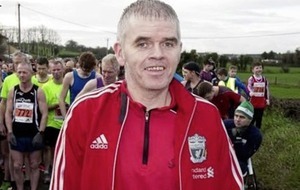 Their last senior title was a famous one, won in the snow and ice in Glenullin on St Stephen’s Day in 1993. This could well be the start of something special for their new generation.